Remember last season where every major class came down to the final event to decide the championship? Two of those titles came down to the final day, and one wasn’t sealed until the final stage. It was simply epic. 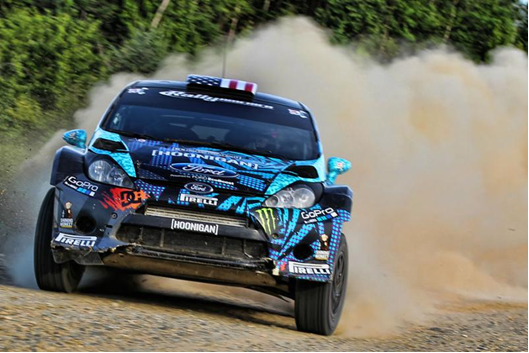 There were some great battles between Ken Block and David Higgins all season long. David Sterckx overcame his mechanical issues from the previous year to take the championship in Super Production and Mason Moyle had his best season yet finishing second in the class. 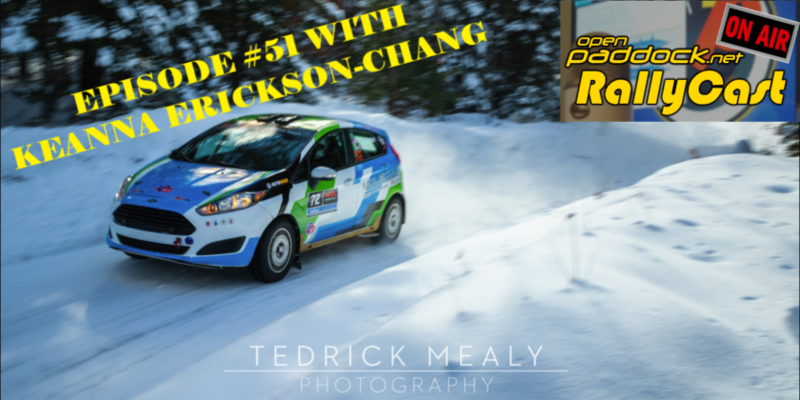 In 2wd Brendan Reeves showed us American’s how an Aussie slings a FWD Fiesta around the dirt and dominated the class, and his compatriot Will Orders debuted the amazing Nameless Performance GT-86 Toyobaru rally car that was in testing for a full 2014 season. Throw in added interest in rally cars with the Global Rallycross Championship being televised, and it seemed like things were going in the right direction for rally in the USA. Remember all that? 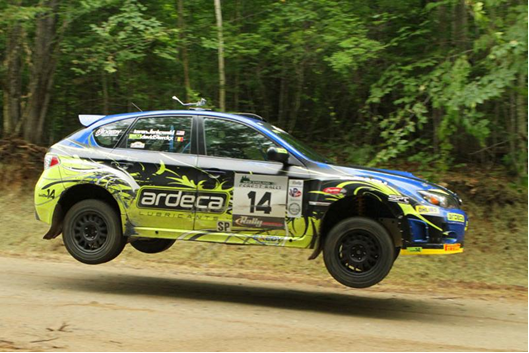 Unfortunately, something appears to be seriously going wrong in Rally America for 2014. 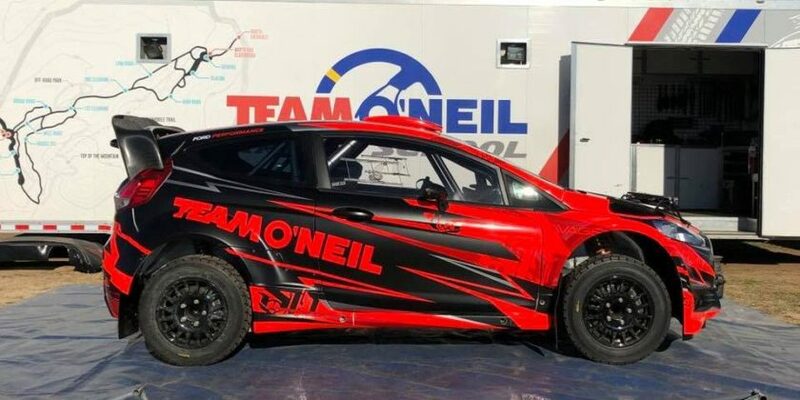 Nothing has been made public, but there have been multiple teams stating that they will not be competing in the full 2014 Rally America Championship. The first news came from last seasons 2wd Champion, Brendan Reeves stating that he was unable to compete in the USA this year. That made sense as it would be hard to drum up the funds for both his USA and Australian campaigns for a second time. Australia wins out as they televise their rallies and he can probably get some sponsors on board there. Not long after hearing about Reeves’ dropping out Mason Moyle posted on Twitter and Instagram that he is selling his Super Production rally car that he competed in for 4 seasons. Mason wouldn’t say if he had some other plan for the 2014 season, but he is missing from the Sno*Drift entry list. So far as I can tell, the only drivers doing the full 2014 schedule right now are probably Subaru Rally Team USA’s David Higgins and FY Racing’s Adam Yeoman in Open class. We may see Antoine L’Estage, but likely it will be on an event by event basis as to whether or not he has the financial means to compete. In Super Production we’ll see Lauchlin O’Sullivan and new to the class Dillon Van Way, but that’s probably it unless Evan Cline or Nick Roberts commit to a full season. In 2wd only Andrew Comrie-Picard’s Scion team looks to be doing the entire championship and likely someone for Team O’Neil. So what happened? How did Rally America go from such a promising looking future to a series many deserted? We all know that rally is an expensive sport and hard to fund, but has Rally America made it to the point of being completely unattainable? Word on the street is that costs have been steadily increasing, or in fact doubling, for the national championship entries the last few years. My guess is whatever changes they made for 2014, it was the final nail in the coffin for teams that were barely affording it. Let me finish with this though. It isn’t complete doom and gloom. Don’t think for one second that because all of these drivers and teams leaving the National Championship means rally events will be short of competitors. Oh, no, no, no my friend. The regional rally licenses and entry fees are far cheaper, so expect many drivers not going after a national title to still compete regionally. 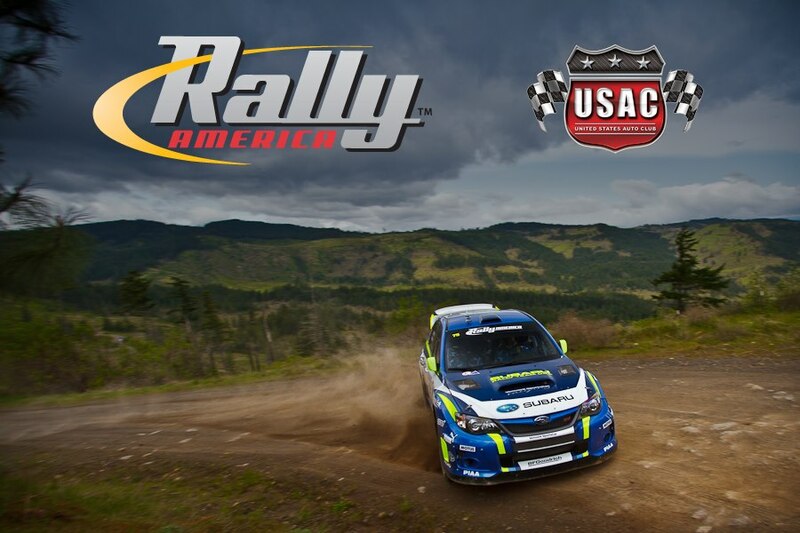 Here in the Pacific Northwest they’ve even added a new Cascadia International Rally Cup regional championship that combines regional events, Canadian Rally Championship events, and Rally America’s Oregon Trail. Expect some great battles at individual events, but its looking like the National Championship might be a bust. INDYCAR – How Did We Get Here? Pt. 1 When Did We Start? You are missing some interesting entries. Stay tuned. Doug, I want nothing more than to be proven wrong! I and many others had high hopes of returning battles from last season and that isn’t happening. Let’s hope the new entries (Pastrana maybe?) are enough to keep it interesting. I would have liked to see Guy Wilks and an R5 make it across the pond as well, but that might be dreaming a bit big. As I said though, the regional competition will still be very exciting even if the national entries aren’t as broad as last year. And anything can happen mid-season. I understand why people get skeptical when all you have to go by is facebook posts and forum rumors, but I truly believe that with all thet is actually happening, this will be the best year the Rally America national championship has seen in a long time. Keep the faith people. The best thing about the rally community is the POR mindset, and negative posts and skepticism doesn’t help to excite more people about the sport we love. Mike, if they aren’t at the start line for SnoDrift, then they can’t win the championship – anyone that CAN win must be there. Dillon, I have no doubt this will be your best season yet. You’ve already proven mighty speed in the 4wd Subaru. I would have loved to see you up against David Sterckx for the entire season. Again, I don’t think the regional or individual events will have issues, just the national championship looks a bit bleak until I hear otherwise. That is one way to wrongly interpret the vague wording of the mandatory events. You can win the championship without doing S*D.
I don’t think people realize how expensive rally is, and there is a constant turnover of teams, especially teams contesting a full national run. Fingers crossed people still get to compete at the regional level, with some national events tossed in too. I don’t get MD. How can you win the championship if you miss one of the “mandatory” events? How can I LIKE Dillon’s post? Rallying, by it’s very nature is perpetually evolving and only continues to exist by people who love the sport and the community pressing on regardless. 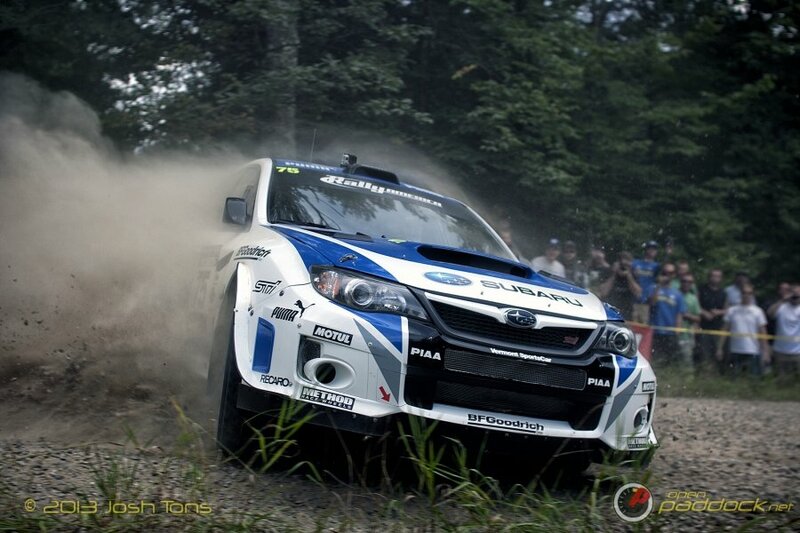 To say that there are serious problems ahead for Rally America or the sport is short sighted. I kept wanting to label the years in 2005,6,7 as the ones that were going to put rallying on the map in a big way, but when I talked to Buffum he was quite clear that while those were healthy years the sport would never get past it’s struggles of event coverage and spectator accessibility in a way that rallying would be appreciably recognized by the masses. I’m bummed some of the most recognized teams of 2013 may not be back for this year but I know they will be back eventually, along with a lot of new faces too. Even at the highest level we all know we’re just a bunch of similarly minded risk takers that like playing with cars in the woods. … as professionally as possible. The sport of stage rallying has been fighting these kind of issues going back to NARA / Wonder Muffler days. Sure, teams, other than those supported by manufacturers, need support dollars. Finding solid financial support at the event level is critical let alone an entire series, so entry fees go up. This will continue to be a major hurdle due to no national publicity which will not happen when you have so few spectators which fosters lack of electronic / print media. Myself and Tim Shannon as press officers for the Sunriser 400 in the late 70s wrote about this same issue and that was with a 100+ car entry an organizing committee which stayed together for over 20 years and a great local sponsor for the event. I don’t think the sport has reached the “acute right, downhill, triple !! !” level but this article should wake us all up. Good luck teams in 2014! Seems to me that REGIONAL rally is strong as ever, looking at entries from the NW and NE US, as well as Canadian rounds here in the west, but Rally America doesn’t give a crap about regionals that pay the way to have these strong rallies, only National entries, so let them have there 12 car national fields, or become the EAST regional championship, I mean, really, ONE National in the WEST??? That is why you can’t get more support from teams to do the series. . .
Watch out for some new series to pop up, Cascdia, for example is a grass roots regional series combining Canadian rounds and US rounds in the NW, an RA National, a former (and epic) RA national, as well as 2 canadian national rounds, for a premiere series, should be a hotly contested regional/international series. . . I see a lot of truth to this post. 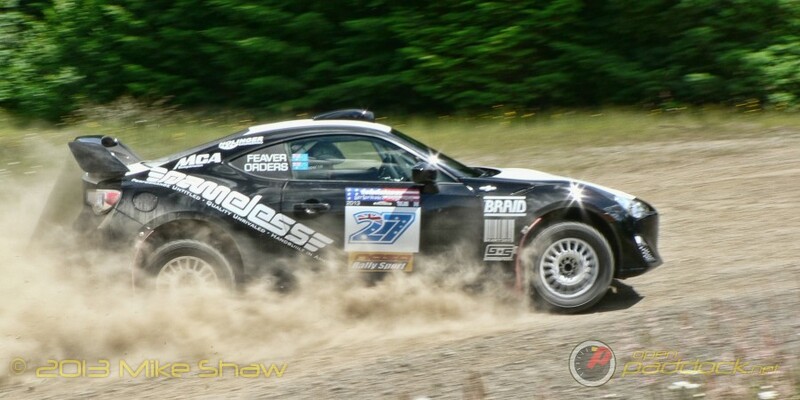 Rally America has got greedy and as a racer we have for the most part given up due to funding. Most of the teams that will be racing are indepently wealthy enough to do so. Obtaining sponsorship in RA is like trying to get blood from a rock. The series has ZERO media outlet and the fact that National entries are 3 times the amount as a Regional entry limits many capable teams. A National team will spend nearly $2000 on entry and then you have to buy a photo for $100 from RA to supply to your sponsors. Canada rounds are televised on public television. Rally America rounds aren’t televised anywhere. At the end of the day there is NO return of investment for sponsors end of story. There’s always going to be some turnover, and some ebbs and flows. But even if some high-profile national competitors may be gone, others will emerge, and the sport will continue to evolve. And old (real) rallyists never die. They just run teams (Smith, Buffum, O’Neil), rallymaster (Sheperd, Gene), related businesses (Millen, diMarco), build timing equipment (Williams), do media (MJ) or keep close tabs and win ProPicks (Woods!). Some, like me, even still drive (and make a bit of TV about it). It’s actually amazing, given that North America is a foreign environment for a very European sport, that we do it much at all. The vast distances and the popularity of more endemic motorsports (drag, circle, and desert racing I would all call quintessentially American) make it difficult. We could always do better, but we do pretty well. The only very real weakness I do think we have is a lack of TV and other media activation. America should do this better than any other market. ACP, you’re spot on about the TV coverage. With as many outlets as are available now, surely someone would be willing to pick up a 30-min or hour highlight show for the Rally America events, right? MAVTV or Velocity come to mind as appropriate outlets. I wonder how much more of a challenge it makes obtaining sponsorship when there’s no broadcast package. I know this has been something that has hurt the IndyLights series in the past. That’s what makes USA rallying unique to other national rally championships around the world. America is vast with very different conditions. Optimally RA would add to it an event in the desert SW and maybe a rocky mountain rally (Utah or Colorado or something like that). I completely agree that the focus in RA is largely on the mid-west / east which makes it tough for the west. 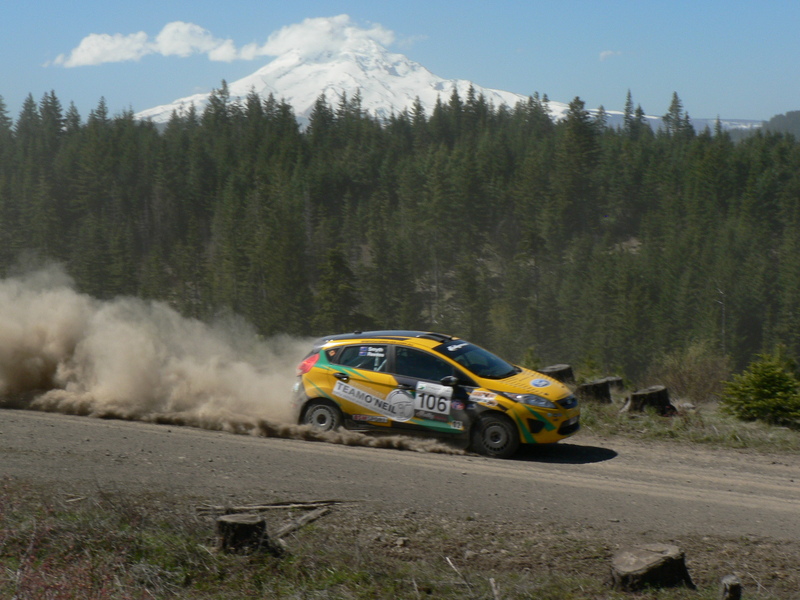 I love regional rallies and regional championships like the new Cascadia International Rally Championship, but I’d also like to see the national championship expand and with this new TV coverage maybe that can happen.